Food Trucks have become one of the most sought-after food eateries in many major cities. What we thought about it earlier, as a grey, unkempt truck that sells only greasy, starchy and fatty food, the idea has changed big-time. Now, even popular chefs, bloggers, foodies and successful restaurateurs have become a part of this delicious act. If you are looking for a small business venture that revolves around food, then you can consider starting a food truck business. Take any country, city or village, people can easily connect over a plateful of the meal and with the internet being the spicing element, more and more people have found passion in cooking global dishes and feeding others in an interesting way. Food is everywhere, in the form of grandmother’s recipes, self-invented meals or recipes adapted from other country’s chefs. So, if you are a chef on the rise, do something trendy, like start a food truck business. It is the right time as well.Although this could be a fun business opportunity, where you get to travel to new places a lot, it is not an easy task to run the show. But know this, if you get a hang of it, the rewards can be bewitching, from media attention and social media fans to earning at least a 6 digit income, all of this coupled with the satisfaction of following your passion of serving food. So, let’s us walk you through the steps of starting your own food truck business. Before you start any business, make a business plan and the basic would be budgeting and researching. The key things you should research are space for mobility of the truck, such as location or spots where customers can find you; competition in your target area as you don’t want to lose on customers by being the third Frankie food truck; local rules and regulations, such a permits and licenses; and catering options, like how well can you leverage your food truck, perhaps cater at events and celebrations. 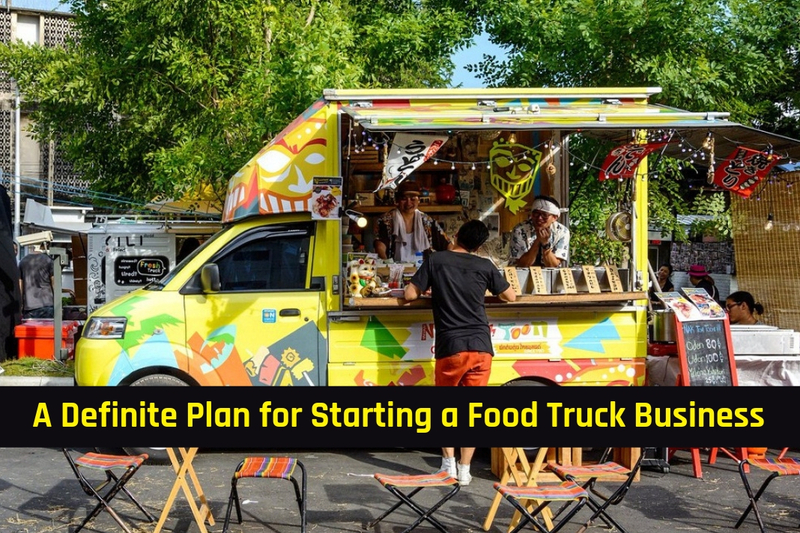 Segments in a traditional business plan, appropriate for your food truck that you should include are Business Description, Market Analysis, Management, Organization, Product Line, Marketing Plan, Funding and Financial Goals. Make sure that you do in-depth analysis and include even smallest of details in each segment. One Time Start-up Costs: This includes purchasing your food truck, equipment and gears, licensing or point of sale (POS) system, website development, office supplies, marketing, promotion and PR, professional, legal and other consulting fees, painting, servicing the truck, modeling it and other one-time essentials required for cooking. Recurring Costs: These include vegetables, groceries and cooking supplies, rent, fuel, credit processing equipment, and processing fees, such as hardware, mobile data, calling card, additional staff salary etc. Other Costs: Business and vehicle insurance, commissary fee, propane and generator costs. Getting the right kind of funds is the biggest challenge for any business, especially something like a food truck. With a solid business plan, everything else will fall in place. Make sure you have good personal and business credit to increase your chances of getting a business loan quickly. A second-hand food truck can cost from $ 3,250 and can go upto $180,000 for a new truck. Most experienced food truck owners give only one advice, invest in a good food truck and make tasty low-cost food. So, if you buy a good food truck, money incurring from of run down and constant repairing work will reduce. Whether you choose to buy or lease your truck, make sure truck is spacious enough for your operational needs. You should also ensure that your truck gets enough electricity to power different electronic appliances. There are several types of insurance coverages that you can apply for. You have to take up a liability insurance policy and standard auto insurance for your food truck. 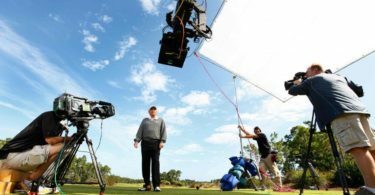 Insurance coverages vary from state to state and other factors, such as individual coverage limits, type of truck/cart, your city, locations and events you will attend each year, type of cooking equipment, your working hours and if your business is seasonal. Depending on your city and state, food truck permits and licenses charge will vary. However, it will cost you between $100 and $ 500. You have to atleast get two types of licenses or permits for your food truck business to start and run. The first one is the Business License and the next is Food Service Permits. However, the requirement may also change and you may have to obtain additional permits, such as mobile food facility permit, health permit, food safety certification, business insurance and worker’s compensation. You may also be required to register your business and apply for tax and remember to obtain EIN (Employer Identification Number) before hiring staffs. Your truck, your food, your mode of operation and your kitchen will definitely go through a thorough food inspection by officials. So, ensure that everything is well fitted and washable, and clean and hygienic. You will need to conform to local or state (whichever is applicable) food safety standards. This is similar to any other restaurant complying with the food regulation and safety standards. For this, you will have will have to contact the local food health department and find out rules and regulations, such as how the food should be prepared, how the food should be packed or served etc. You will need to get certain types of licenses to start operating your business. This is mandatory for all business operations across all industries. You will have to obtain your Tax ID number, EIN, a DBA, and State Sales Tax Permit. EIN is a free permit which you can obtain from your local IRS. Rest all of the above permits are easy to obtain. You have to connect with your home state’s requirement for understanding the entire process. These permits put you on restriction on where you can park your vehicle for your business. You need to do a thorough research so as to avoid legal actions and road safety fine. There are commercial and non-commercial zoning restrictions that you will want to know. The city motor department will help you with information, such as parking limits, distance restrictions etc. You have to create a marketing plan that will outline how and where you will be marketing your food truck. It will also include the options or techniques you will be considering for marketing, branding and PR. Today, SMO is considered the Godfather of marketing unconventional businesses. Just post a pic of your Food Truck and you holding a sauce-oozing burger on Instagram and see how many of your followers turn up to eat what is in your hand. Just try it and see the power of social media influencing. Instagram, Twitter, Facebook and Influencer marketing are great podiums to create the right buzz for your food truck business. Create real-time videos and share amazing pics of your menu, your customers would definitely start flocking in. Another way to create a buzz among new market and audience is by attending food festivals, carnivals and local events. Festivals are a great way to attract a larger crowd and gain insights from other food stalls and truck owners. Some organizers will do the marketing part as well. You should also try building your own website and a blog site and tell your story, offer coupons and promotional codes and encourage your customers in food tasting and winning hamper events. Hope we were able to cover everything under starting a food truck business. If you need us to talk about a special segment, do let us know in comments and we shall oblige.